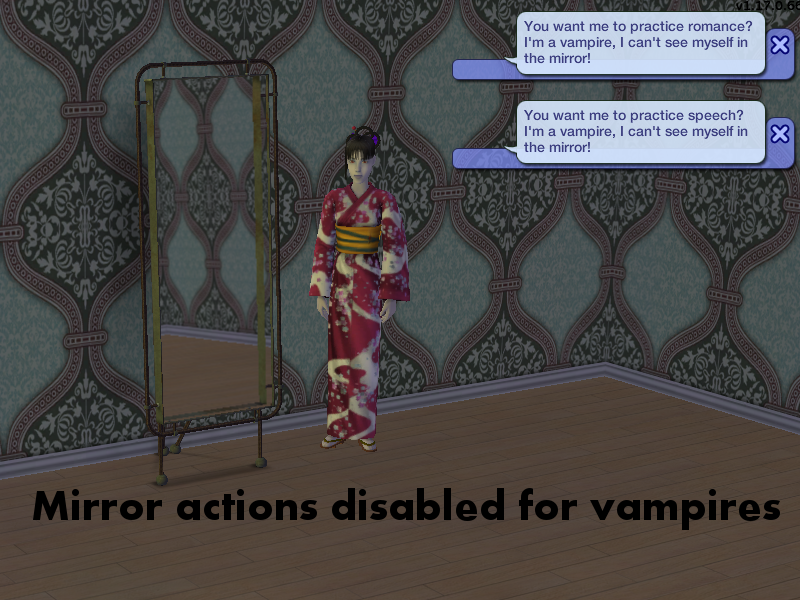 Description: This mod disables mirrors for vampires. Description: Creates more nighttime walkbys and chooses sims other than just werewolves. Night walkbys may now occur at 10 pm, 1 am, and 4 am. Those walkbys can be werewolves, vampires, servos, high level witches or zombies. These visits are not guaranteed but will be more likely as the population of night creatures increases in your neighborhood.